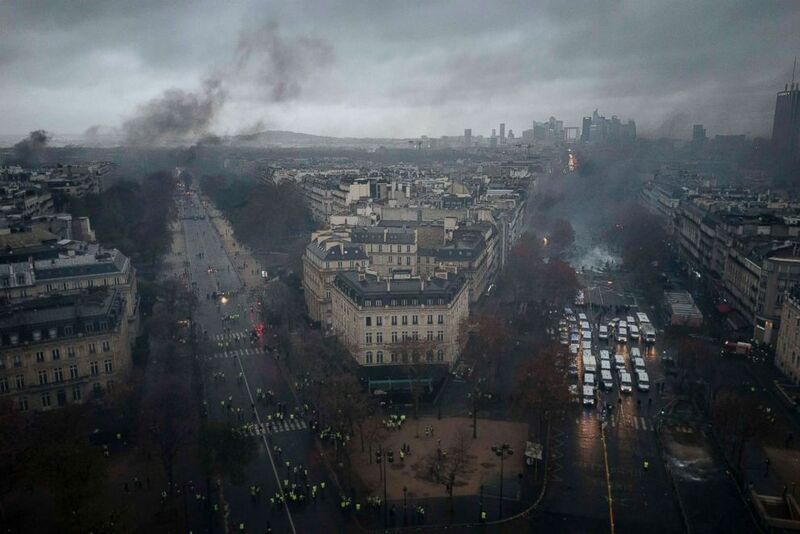 Paris: French President Emmanuel Macron is to hold a crisis meeting on Sunday after antigovernment protests in Paris that left 133 people injured and a trail of destruction around the capital. I will never accept violence. 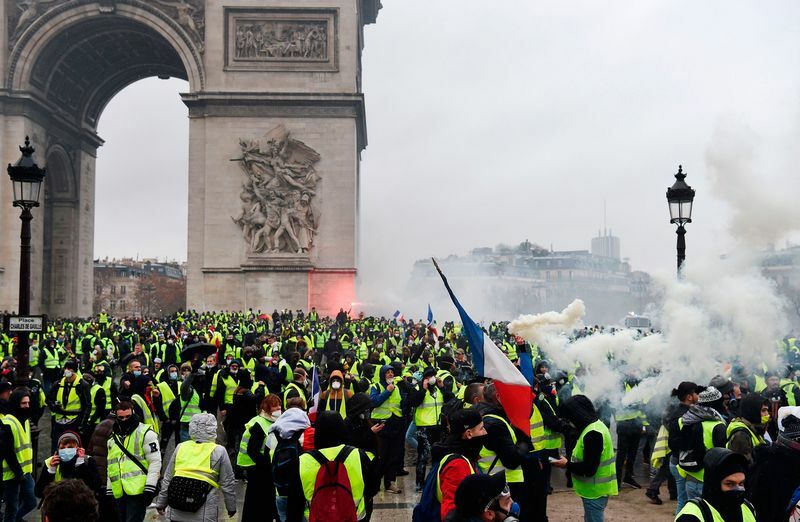 No cause justifies that authorities are attacked, that businesses are plundered, that passers-by or journalists are threatened or that the Arc du Triomphe is defiled. “I will never accept violence,” Macron told a news conference in Buenos Aires before flying home. In famed areas around the Champs-Elysees, the Louvre palace, the Opera or Place Vendome, smashed shop windows, broken glass and the occasional burnt out car were testament to the violence. This was a reference to the so-called “yellow vest” antigovernment protests that have swept France over the last fortnight, sparked initially by a rise in taxes on diesel. Violent anarchist and far-right groups have since infiltrated it and are thought to be behind Saturday’s clashes. Macron faces a dilemma in how to respond to the “yellow vests”, not least because they are a grass roots movement with no formal leaders and a wide range of demands. “We have said that we won’t change course. Because the course is good,” government spokesman Benjamin Griveaux told BFM television defiantly on Sunday morning. “It’s been thirty years that people change course every 18 months,” he added, referring to Macron’s presidential predecessors who have often caved in to pressure from French street protests. Macron has so far refused to roll back taxes on fuel, which he says are needed to fund the country’s transition to a low-emission economy. And he remains a fervent defender of the tax cuts he has delivered for businesses and high-earners, which he believes were necessary to lower the country’s chronic high unemployment. “We’re at a time when a bit of national unity around our security forces, around those who are really struggling would be a good thing for the country,” Griveaux added. Interior Minister Castaner attributed the violence to “specialists in sowing conflict, specialists in destruction”. Two people have died and dozens have been injured in the rallies, which opinion polls suggest still attract the support of two out of three French people.